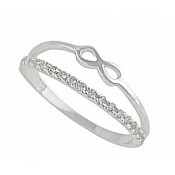 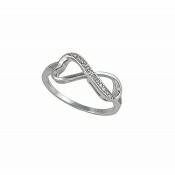 This beautiful sterling silver infinity is one way to catch an eye. 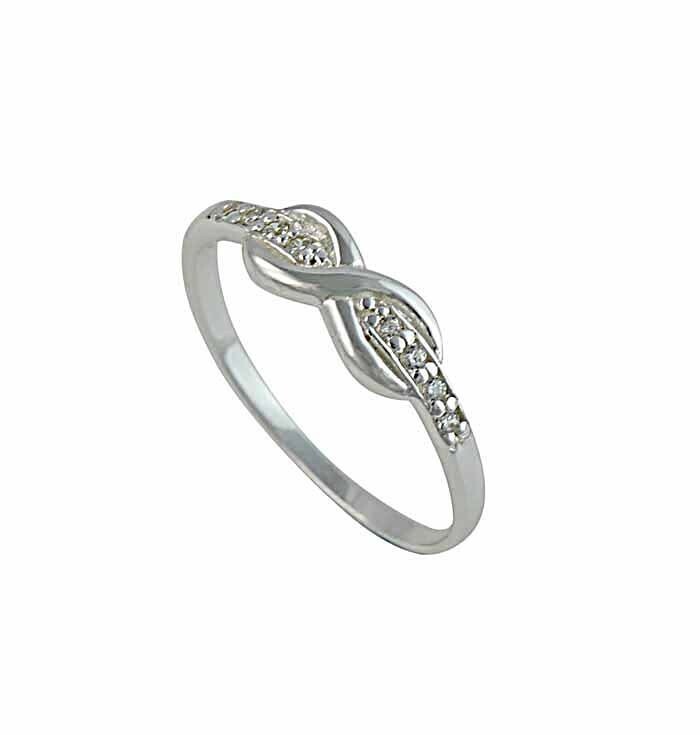 This sterling silver polished ring features a band of twinkling clear stones set beneath the ever popular infinity symbol. 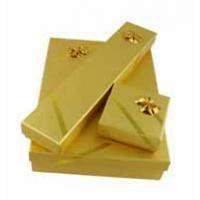 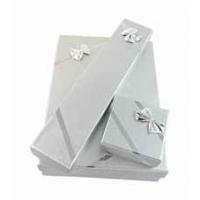 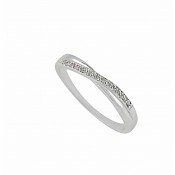 A stunning piece on it's own or stacked effortlessly with other rings of a similar design.